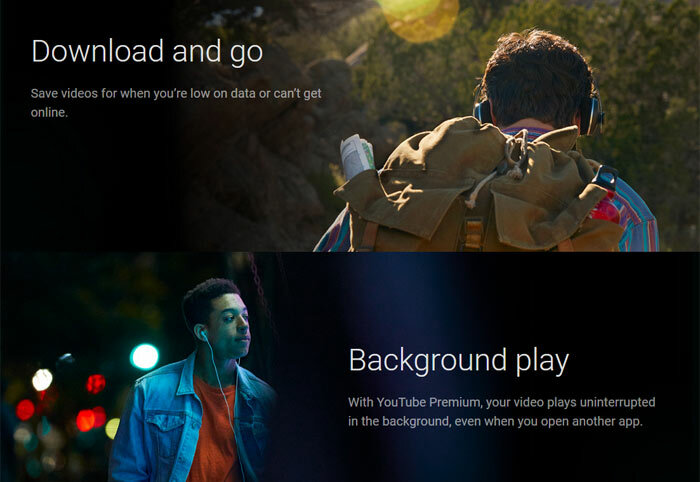 Back in mid-May YouTube announced the launch of YouTube Music and the rebranding of YouTube Red to YouTube Premium. At the end of the news release we noted that the service would extend beyond the US and other existing YouTube Red markets to new regions including the UK 'soon'. Yesterday, the paid Premium and Music services became available here in the UK for the first time. The price and feature matrix from our story in May, reproduced above, still applies. Just change the dollar signs for pounds and that is the offer here in the UK - yes, £1 is worth $1.32 right now but we are used to that. The music-based content might be competitive against the likes of Spotify and Apple Music at £9.99, but if you have no interest in that and would like the general video-based benefits and YouTube Originals then £11.99 is rather a lot. Compare that to the rivals such as Netflix, Now TV, or Amazon Prime Video and it doesn't look very attractive. YouTube Red had a lineup of exclusive original shows, now available in YouTube Premium, but they offer niche appeal. To coincide with the launch of this new service a couple of new regular shows have been launched; F2 Finding Football, and The Sidemen Show. 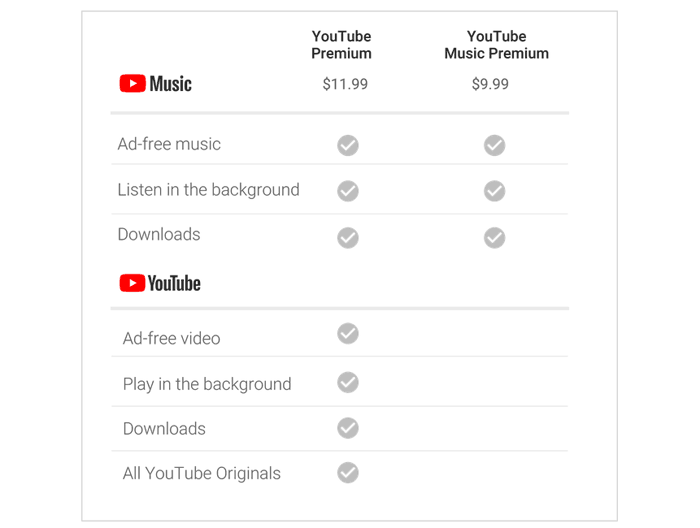 If you are looking for a family plan with YouTube's paid-for services; a YouTube Music subscription will cost £14.99, and the YouTube Premium is £17.99 per month. The attraction with these family plans is that they can be shared by up to six people. YouTube offers generous 3-months long free trials for both its YouTube Premium and YouTube Music services. I had a lovely, carefully-crafted, 1500 word argument full of artfully structured rationale to express my opinion but, seeing that reply, Cat, it actually sums it up nicely and says all that's necessary. Maybe if they weren't so hostile towards small, original content creators doing interesting things over the usual background noise that makes it to featured content. As it stands, patreon is a better way of supporting the decent creators.